The first book ever written which provides definite techniques to improve memory, speed reaction time, handle psychosomatic illness and reduce stress. The reader assesses his condition with a battery of tests before starting and then launches into an analysis of his past guided by specific and easily followed directions. 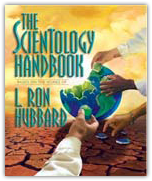 Offers the means to self-discovery through a series of more than twenty Scientology processes designed to give an individual the clearest look he has ever had into his past. Built around the most advanced version of the Hubbard Chart of Human Evaluation, this authoritative text contains the most complete description of human behavior ever written. A chapter is devoted to each column of the chart and clarifies the seeming confusion of human conduct into definite categories. One can use the book to accurately predict what another will do in any situation in life, even those with whom one has not had extensive prior experience. Developed for use by Scientology practitioners, this Tone Scale technology has been used for more than forty years by persons in a wide range of professions. Millions of other people use the book simply to understand people better and improve their relationships.